No upcoming author visits planned, at this time. Students in grades 4-6 met New York Times best-selling author, Tamera Ireland Stone on February 5th at St. Perpetua School. She led an engaging presentation about friendship, meeting new people, and the writing process. She focused on Click’d and her newest book Swap’d The characters in both books use coding to solve real life problems. Both books discuss the ethical issues around technology, friendship, and competition. School Library Journal describes the series: "Packed full of middle school drama - best friends, arch enemies, cliques and sports - this novel will surely please... Fast-paced and tech savvy, Allie's adventures may inspire readers to explore coding." Steve Goetz visits TK and Kindergarten on May 16, 2018. On Wednesday, May 16th, students met author Steve Goetz. During his visit to the school, he read aloud his newest book, "Old MacDonald Had a Boat". We also discussed his original book "Old MacDonald Had a Truck", which earned a starred review. Kirkus Reviews (2/15/18) says of the new book, “The MacDonalds and their farm-animal crew return in a rollicking new adventure to transform an old fishing boat into a slick speedboat. Large, colorful spreads provide lots to look at, inviting readers to slow the song down, building suspense. A delightful way to reinforce cooperation in getting a job done while having fun. On Monday, April 23rd, our students met with Armand Baltazar, author of the first book of a new fantasy series, "Timeless: Diego & the Rangers of the Vastlantic." Prior to writing the book, he was the art director of both Pixar and Disney. 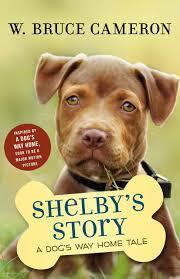 He also shared with us that the book has been optioned to be made into a movie. Publisher's Weekly said it's "not only wildly imaginative and attention-grabbing, it's downright beautiful." School Library Journal described it as "More than 100 eye-catching full-color illustrations [that] showcase this fantasy's diverse cast of characters and their world of seagoing dinosaurs, horse-drawn carriages, flying skateboards, and giant robots". Students agreed that the non-stop action and beautiful artwork were the star of this novel. Author Deborah Lee Rose visited with our Elementary students to discuss her latest book, "Beauty and the Beak: How science, technology and a 3D-printed beak rescued a bald eagle." Students enjoyed the hands-on opportunity to touch real beaks made for Beauty (the eagle) and learning how science was able to rescue an injured bird of prey. Deborah also sang her book, "The Twelve Days of Kindergarten" with our youngest students. Author, Madeleine Dunphy visited with our youngest students in grades TK - 3. Thank you SEEDS for sponsoring this Author Visit! Madeleine Dunphy, author of the non-fiction series, “Here is Antarctica” (and others) and the new fiction book, “Cat in the Night” presented her books on the morning of March 23rd, in the library. 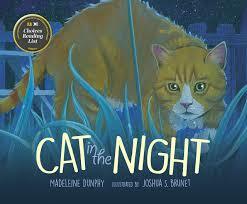 Students enjoyed learning about the nocturnal activities of cats. They also enjoyed snippets from her other books about the Coral Reef and Rainforest. Up-and-coming author, Jonathan Stokes, held an assembly for our students in Grades 3-6 on March 30th. His new adventure novel, "Addison Cooke and the Treasure of the Incas" has been compared to James Patterson's Treasure Hunters series. His visit was both educational and inspirational for young authors. Mr. Stokes is a former teacher and a Hollywood screenwriter. Students enjoyed learning about the gold and other treasures of the ancient Incas, during his visit. Mystery author, Penny Warner, taught students about secret codes and spy ciphers during her visit in February, 2016. She is the author of the mystery series called "The Code Busters Club". Students enjoyed her books and especially enjoyed the hands on activities. About the series: Cody, Quinn, Luke, and M.E. may be really different, but they all share one thing in common: they love playing around with codes. In fact, they love codes so much, they have their own private club, with a super-secret hideout and passwords that change every single day. These exciting interactive mysteries by Penny Warner offer multiple codes for readers to decipher, including cryptography, LEET, Morse code, finger spelling, and flag semaphore. Kids can challenge their brains with the Code Busters and solve the mystery along with them. Answers are in the back, if they ever get stuck. Learn more about The Code Busters Club at www.codebustersclub.com. Self-published author, Norris Bloom met with upper elementary students and jr. high classes in February, 2015. Ms. Bloom is the author of the "Crowns and Kingdoms" series which is available on Amazon. She shared her writing process and why after years of teaching and raising children, she decided to become an author. Students learned about the struggles one may face when becoming an author and were inspired to write books for the Young Authors Faire, after hearing her inspirational stories. Many of our students enjoyed reading her fantasy series and eagerly await future installments.